San Antonio Rain Gutter Pros is a full-service rain gutter installation company, serving the needs of homeowners in San Antonio with success. We have helped thousands of homeowners find the rain gutters for their homes and then installed them with expertise. 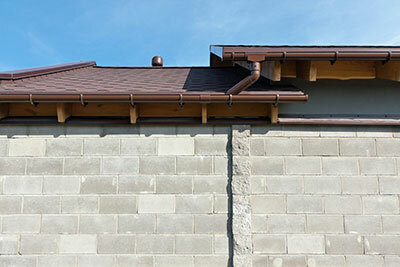 We offer all the services you may require for your rain gutters, from selection to replacement. As a homeowner, you might be confused about the type of gutters to select for your home, given the variety on offer in the market. Based on our experience, we suggest you invest in copper gutters. Copper gutters are not just reliable and durable but they also add to the aesthetic appeal of your home. Copper is among the most widely used metals for different applications, which is due to its quality and the level of durability it offers. This is why with copper gutters, you can rest assured you are getting a solution to all your rain water problems that is long-lasting and will get the job done. Even if there is a storm in San Antonio, you can trust your copper gutters to protect the foundation of your home and also your lawn and backyard from water damage. At San Antonio Rain Gutter Pros, we realize how difficult it can be to deal with damage caused by rain water. Mold can set in, which requires treatment and repainting. If moisture seeps into the foundation of your home, it could cause rotting and rusting, creating a safety hazard. Not to mention, the cost of the repair or renovation job can run into the thousands of dollars. We know how difficult it can be for you to spend that kind of money on a problem which can be prevented in the first place. This is why we suggest you don’t hesitate and give us a call now to have copper gutters installed before heavy rainfall comes. A team of technicians is sent to your home to inspect the property. They assess your home and roof and the risk your home faces from rain water. Based on the initial assessment, we draw up an estimate, including the cost of the copper gutters and our service charges. Once you give us the go ahead, we prepare your roof for the installation of the rain gutters. After this, we install the rain gutters using the finest products on the market. We even add extra hangers to ensure the gutters stay in place. We clean up the mess created during the installation phase before leaving, ensuring no hassle for you. So, if you want to keep your home safe from rain water damage, and why wouldn’t you, get in touch with San Antonio Rain Gutter Pros today. We will help you pick out the best copper gutters for your home that go well with the exterior of your home and then install them perfectly. Then you won’t have to worry about the rain, even if it starts pouring heavily!